AM 3/c William T. Crosthwait, son of Mr. and Mrs. LT. Crosthwait, Olney. 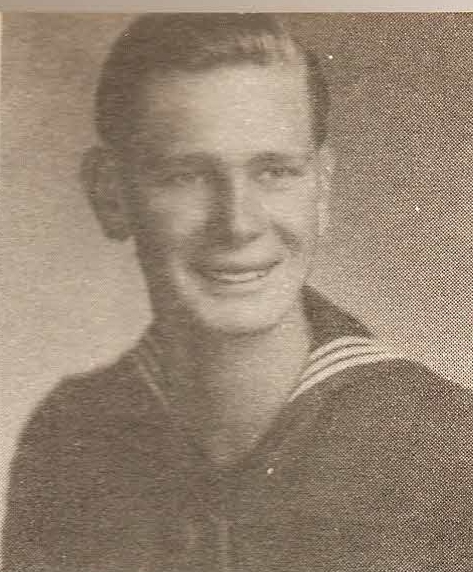 Entered navy in 1943, trained at NTS, San Diego. Served aboard USS Bunker Hill. Awarded APO Ribbon, Victory Ribbon and Amer. Area. Ribbon. Discharged in 1946. Also listed as William T. Crusthwait on Rooster Page of 1940's book.